Zee Media Corporation Ltd will acquire 80 per cent equity stake in two India Today group companies -- Today Merchandise Pvt Ltd (TMPL) and Today Retail Network Pvt Ltd (TRNL), as per a stock market disclosure. The two companies together run an e-commerce portal Bagittoday.com and a yet-to-launch television shopping channel. "TV shopping with its promising potential holds great investment value for the company. With its investment in the target companies which have built the infrastructure for the TV shopping channel along with a complementing website, the company will be able to not only shorten the launching time of the TV shopping channel but also be able to scale up a faster pace," the company said in a statement. The company with its existing broadcast operations will also be able to drive the synergy benefits from this proposed investment, it added. 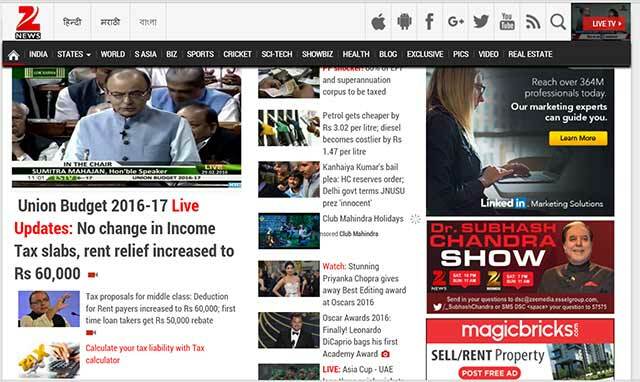 Both TMPL and TRNL are subsidiaries of Living Media India Ltd which owns the India Today Group of publications. In FY 2014-15, TMPL posted a turnover of Rs 3.84 crore while TRNL posted a turnover of Rs 37.36 crore. The investment in the company will be made in tranches. By June 2016, Zee Media will acquire 49 per cent stake in both the companies by investing Rs 39.78 crore by subscribing to equity shares of both companies, and gain managerial and operational control over them. The company will also increase its stake by investing up to Rs 126 crore over four years subscribing to any security convertible into equity shares of both companies at par value, the fillings added. Recently, Zee Entertainment Enterprises Ltd (ZEEL), part of the Zee Group, had come out with a second video streaming platform called OZEE, a free-to-watch OTT platform. The TV shopping business has a number of companies in the fray including Naaptol, HomeShop18, part of the Reliance Industries-controlled Network18 Group, and ShopCJ, which was earlier known as StarCJ. Other players include HBN Telebrands, Planet M Shopping, TVC Retail and Best Deal TV, launched by businessman Raj Kundra in partnership with actor Akshay Kumar.